Lorraine Ficken, 65, was an accomplished real estate agent. Robert "Bob" Ficken was a gifted historian who wrote books about Washington's early history. 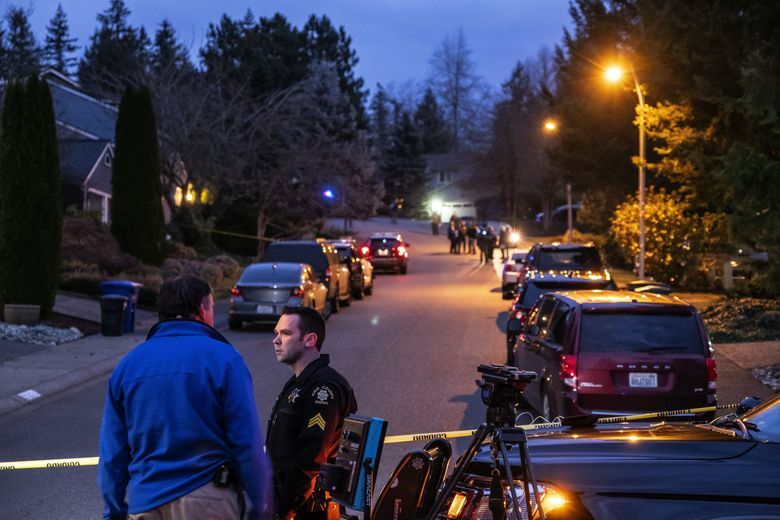 Their bodies were found Tuesday afternoon in their Sammamish home, along with the body of their son, 34-year-old Matthew Ficken. Lorraine and Robert Ficken divorced nearly a decade ago, but the split was amicable and they continued to live together in their Sammamish home with their grown son, Matthew, according to a relative and court and property records. “Lorraine was a very accomplished Realtor. She was pretty upbeat. She liked to laugh a lot,” said her brother-in-law, John Mance, of Lebanon, Oregon. He confirmed the Ficken family was found dead Tuesday afternoon after another family member in Oregon called police and asked officers to perform a welfare check. King County sheriff’s detectives are investigating the deaths as a double homicide-suicide. On Wednesday, the King County Medical Examiner’s Office identified Matthew Ficken and said he died of a shotgun wound to the head. His death was ruled a suicide. Investigators are awaiting scientific identifications before releasing the names and causes of death for the two victims. Robert “Bob” Ficken was a historian and author who wrote several books about early Washington history and Matthew Ficken, 34, worked for Microsoft from home, according to Mance and public records. Sheriff’s spokesman Sgt. Ryan Abbott said officers entered a house in the 23900 block of Southeast 42nd Place around 1:30 p.m. Tuesday and found a man and woman in their 60s and a man in his 30s, all dead from gunshot wounds. Lorraine Ficken, 65, was a longtime broker in Coldwell Banker Bain’s Issaquah office and had been selling homes since 1992, according to a written statement emailed on behalf of the company. According to Mance, Lorraine Ficken was extremely close to her sisters and bought a house in July directly across the street from her eldest sister in Sherwood, about 20 miles southwest of Portland. She was getting ready to retire and was excitedly making plans with her sisters, he said. Bob Ficken, 72, was “a gifted historian” who earned his doctoral degree from the University of Washington, where he worked under Robert Burke, the head of the university’s history department in the mid-1960s, said Charles LeWarne, a former classmate and a fellow historical author. Ficken and LeWarne co-wrote “Washington: A Centennial History” for the state’s centennial, passing manuscripts back and forth to each other through the mail, recalled LeWarne, a retired teacher who lives in Edmonds. LeWarne said Ficken was involved in the Pacific Northwest Historians Guild in the organization’s early days and served for a number of years on the board of the Washington State Historical Society, which awarded Ficken the Robert Gray Medal. The medal is the state historical society’s highest award and recognizes distinguished and long-term contributions to Pacific Northwest history, according to the society’s website. News researcher Miyoko Wolf contributed to this story. Correction: An earlier version of this story incorrectly identified the Pacific Northwest Historians Guild.